Descriptions of academic programs, degree offerings, instructional facilities and labs and instructional personnel are available from the college course catalog in print form or online. Information regarding requirements for admission to an academic program, the transfer student application process and the criteria the college uses regarding transfer credits earned at another institution is available from the Student Services Coordinator, Ann Spayd (315) 787-4008 or in the college course catalog. Nursing Program Accreditation continuing accreditation through Spring 2023. 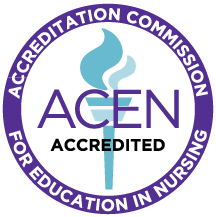 Finger Lakes Health College of Nursing & Health Sciences Institutional Accreditation through February 2019. FLHCON is approved by the NYS Division of Veterans Affairs for the training of veterans and other eligible persons (GI Bill).